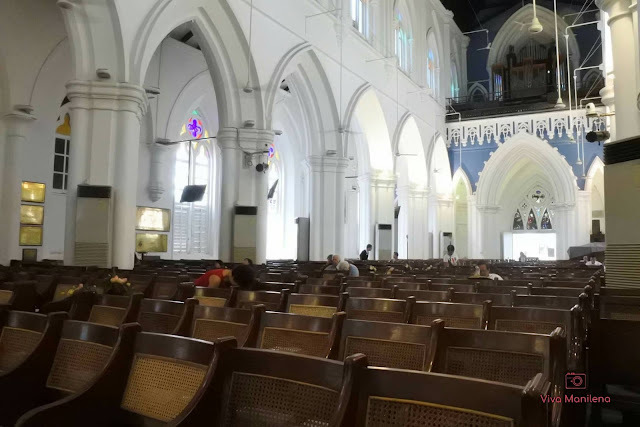 I love visiting churches whenever we travel so going to Saint Andrew's Cathedral in Central Singapore is not an exemption. 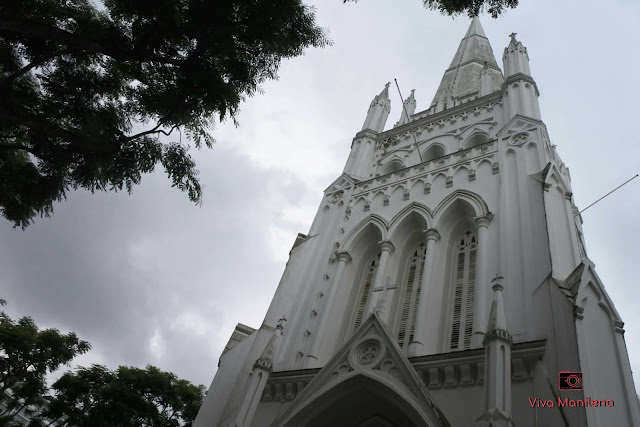 Actually though, since we traveled there a couple of weeks before Chinese New Year, temple-hopping is on my list but we made a wrong train exit and ended up at Saint Andrew's Cathedral. Such a blessing, lah! 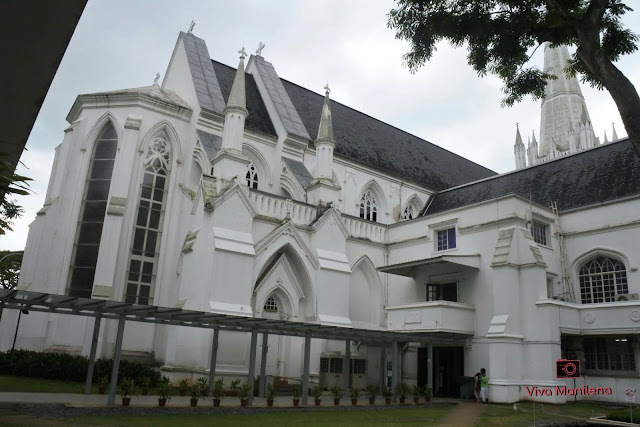 Saint Andrew's Cathedral is an Anglican cathedral built in 1861 although the first church was built in 1835. 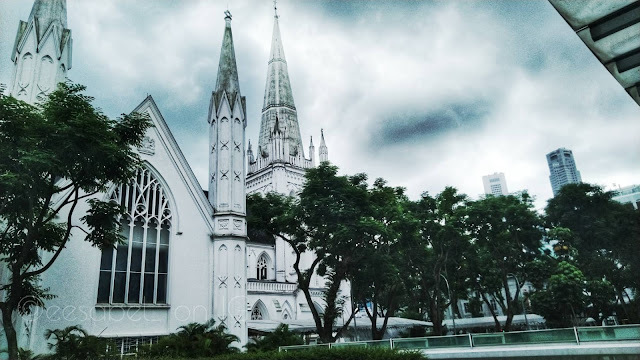 It is a neo-gothic architecture that includes stained glass windows that depicts scenes about Singapore's colonial history (source: Wikipedia). It is the largest Anglican cathedral in Singapore. 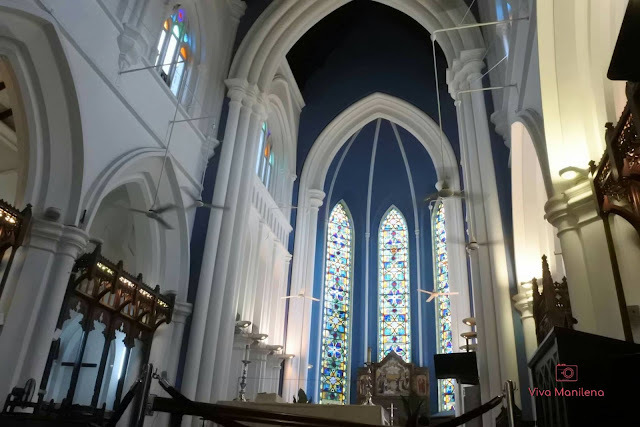 The high and domed ceiling is similar to the cathedral structures in Europe. 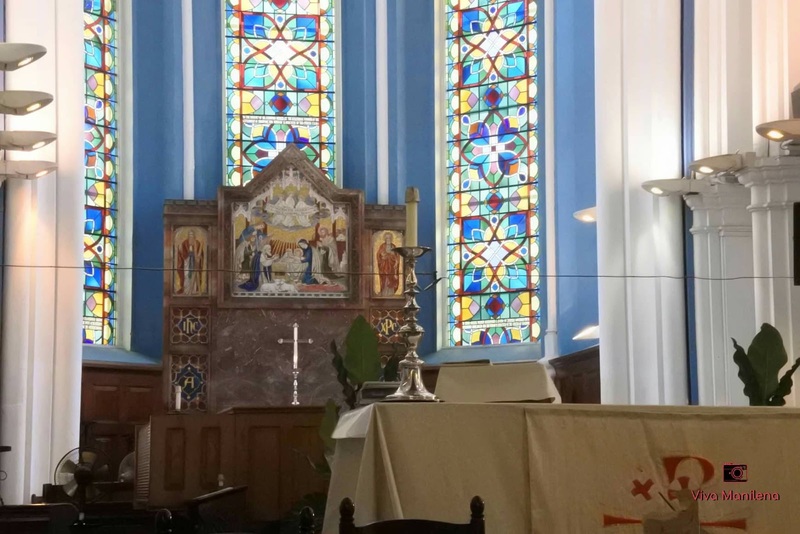 It was on a weekday when we visited Saint Andrew's Cathedral so it was really almost just us inside and a few church-goers of tourists like us, maybe. 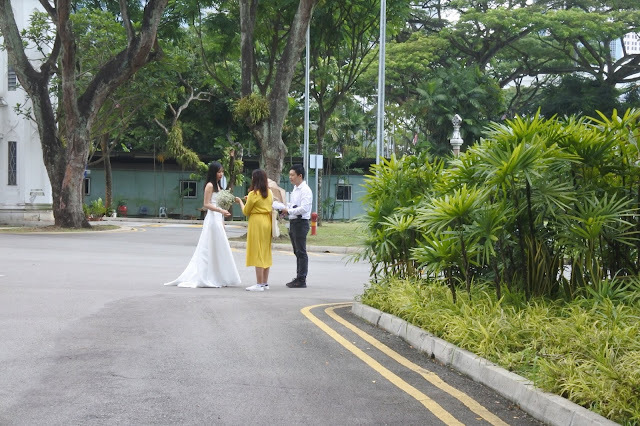 There's also a couple doing a photoshoot. I'm just not sure if they got married that day we went there since there are no other guests around. Here's the back back of the cathedral. It's quite huge really. We went around it up to the front before going inside the side door... only to realize that there's a small door at the back that leads to the offices and then inside the cathedral itself.